Farmers’ issues have occupied centre stage after decades and compulsions of 2019 can create the political will to do something. When Raghuram Rajan opposes farm loan waivers, he ought to be taken seriously. Not just because he has the academic and policy credentials to talk about banking. Not just because he is backed by twelve other well-known economists. And, not just because he had the guts, as theRBI governor, to take on corporate debt write-offs as well. Raghuram Rajan ought to be taken seriously because he advances robust arguments: benefits of such a waiver often go to the best connected, it creates enormous stress for the fiscal health of the state government and it inhibits investment down the line. Bankers have often argued that loan waivers hurt credit culture and thus harm rural banking and, eventually, work against the farmers themselves. Agricultural economists tell us that farm loan waivers cannot solve the crisis of Indian agriculture. Let’s draw a distinction between karj maafi, the farm loan waiver (FLW) being proposed by political parties and governments, and karj mukti, the freedom from indebtedness (FFI) demanded by the farmers’ movements. These have a superficial resemblance as both contain an element of loan waiver. But the similarity ends there. Typically, an FLW is conditional, staggered, partial and stand-alone largess occasionally announced by the government. It is announced when political parties that systematically neglect farmers for years suddenly discover the need to atone and do something for the farmers. Such loan waivers kept most farmers and most of their loan out of the purview of debt relief, were often not backed by the central government, did not ensure fresh access to credit and were not coupled with measures to ensure regular income. At best a Band-Aid, the FLW can degenerate into a gimmick that leads to repeat performance every now and then. Policy makers have good reasons to be worried about this. The FFI demanded by the farmers, however, is a comprehensive, institutionalised, legal mechanism that comes with assured income for farmers. This would cover all categories of loans (institutional and from moneylenders), all types of banks (commercial and cooperative) and all classes of farmers (owners, cultivators, sharecroppers and tenant). This would require the setting up of a permanent Debt Relief Commission with statutory powers of settlement, swapping and waiving of farm loans, including those from private moneylenders. The final step would be universal access to institutional credit to the farmers. The FFI is envisaged as a once-in-a-lifetime, clean, unconditional and full debt waiver to the farming community, backed by the state and central governments, not to be repeated every now and then. I believe there is a good ethical and economic case for this kind of law, providing for freedom from indebtedness. A cardinal humane principle of any debt waiver is the debtor’s inability to pay back. The proportion of indebted farm families in India has risen steeply from 25 per cent in 1992 to 52 per cent in 2016 (reaching as high as 89 per cent and 93 per cent in some states). The average outstanding loan per household was Rs 47,000, more than that household’s annual income from cultivation. An average farmer is in no position to pay back these loans. As many as 68 per cent farm families have negative income: their basic household expenditure is more than their total income. 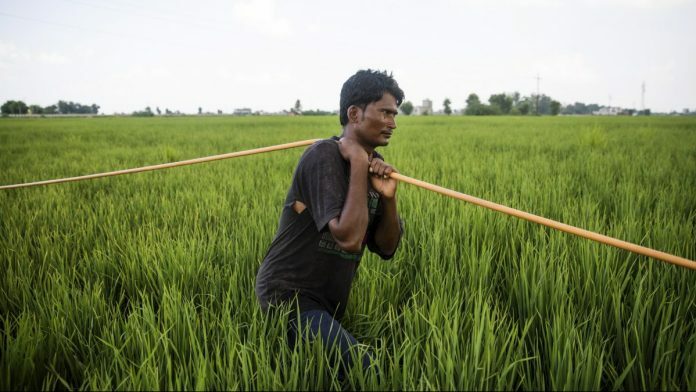 Indian farmers are not just heavily indebted; they are also caught in a debt trap. Any pressure to pay back loans would push them to the brink. Indebtedness is the most immediate cause of farmer distress and suicides. The second basis for extinguishing a debt is that it is not a willful non-payment. The present indebtedness of the farmers is due to reasons beyond their control: crop failure, price crash, high input costs, drying up of water bodies and the impact of natural disasters. In fact, the pro-consumer and pro-trader bias of government policies must bear a good deal of the responsibility for creating unfavourable terms of trade for agriculture and thus causing indebtedness. Then there is the consistency principle. The union government has extended similar waivers and exemptions to various other sectors: Rs 3 lakh crore bailout package to industry in 2009, bank loan restructuring schemes, recapitalisation of banks, massive ‘haircuts’ besides corporate loan write-offs and ‘revenue foregone’ in every budget. It has also provided for decent remuneration for other sections through measures like the OROP package, implementation of the 7th Pay Commission etc. Finally, there is the accountant’s argument: the government owes more ‘arrears’ to the farmers than they owe to the banks. Going by a rough estimate, just the non-implementation of National Farmers’ Commission’s recommendation on MSP since 2007 has meant that the farmers have been robbed of Rs 22 lakh crore in the last 11 years. This is more than the current total outstanding loan of Rs 14 lakh crore of all farmers to all types of banks. If there ever was a case for a new deal for the Indian farmers, the time is now. Farmers’ issues have occupied the national centre-stage after several decades. Compulsions of the coming 2019 Lok Sabha elections may just create the political will that has always eluded issues of Indian agriculture. This is the moment to think big, the time to work out a comprehensive package to address rural distress. A loan waiver cannot be the centrepiece of such a package, but it is a crucial supplement to assured income for farmers. Freedom from indebtedness as defined above is not sufficient measure to address agrarian distress, but it is necessary. FARMERS SHOULD BE PROVIDED WITH INITIAL INVESTMENT AS GIVEN IN TELANGANA. THE GOVERNMENT SHOULD TAKE UP THEIR PRODUCE AT A MINIMUM PROFIT OF AT LEAST 10%. PRODUCE ACQUIRED BY THE GOVERNMENT DISTRIBUTED TO THE PUBLIC UNDER PDS. RYTHUBAZARS SHOULD SUPPORT THE RYTHS BY GUARANTEEING MSP TO THE VEGETABLES. FARMERS SHOULD BE ENCOURAGED TO GO FOR ORGANIC FARMING AND CEREALS SHOULD BE SUPPLEMENTED FOR RICE AND WHEAT. TOBACCO SHOULD BE BANNED AND COTTON AND OILSEEDS BE GIVEN PRIORITY. India’s fisc simply cannot afford to spare more resources for agriculture. The enduring solution can only be the creation of more non farm jobs. Each newly installed state government will announce a large farm loan waiver. Then there will be no money to buy medicines for government hospitals, to keep school buildings in good repair.